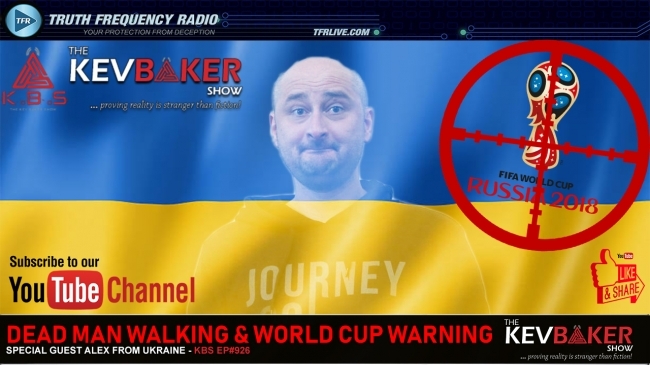 Alex from Ukraine makes his comeback onto the show in this episode & we catch up with everything that is happening in Ukraine these days. In the hours before the show news started to filter out about Ukrainian security forces faking the death of an outspoken anti-Kremlin journalist to smoke out the Russian paymasters behind an alleged hit being put out on him, so we get Alex to share his thoughts on that. We discuss the recent Champions League final with Alex making the observation that some of the travelling supporters looked more like military than soccer fans. With that said, and the FIFA World Cup Finals about to be played in Russia, we discuss the likelyhood that something big might happen just before or during this event with a global audience of billions tuning in to watch the action.